Seven of 11 census tracts in Wellspring’s service area are food deserts, and nearly 52,000 living in Allen County experience food insecurity of which over 1/3 are children. 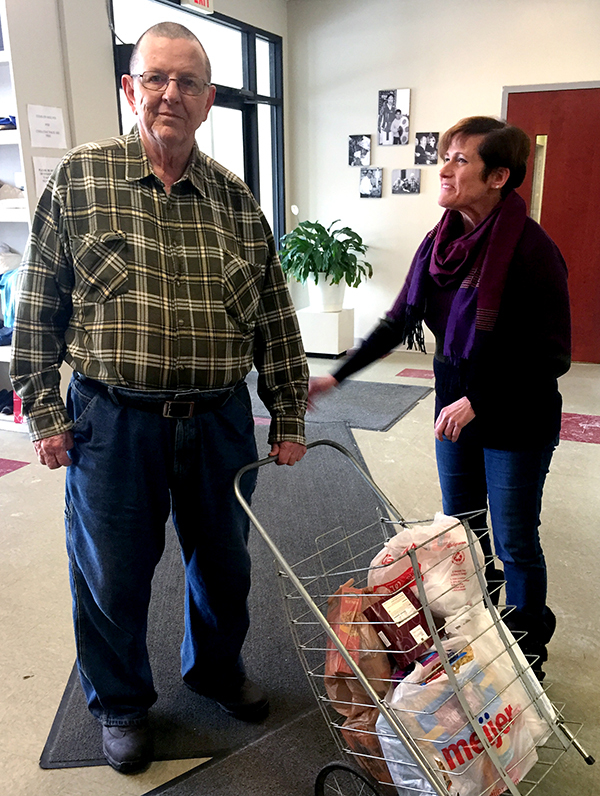 Our Food Bank provides food and personal hygiene items to a geographic area with borders defined by the St. Mary’s River (North and West), Taylor Street (South) and Calhoun Street (East). The Wellspring Center is also an “emergency food bank site”. We provide information and referrals as needed to our Food Bank recipients. 1,672 clients on an emergency basis and 624 clients from surrounding neighborhoods were served for a total of 2,296 in 2018. All clients must bring a photo ID and piece of current postmarked mail. Clients outside our service area can be served on a one-time emergency basis. People of faith working together to support and enrich the lives of Fort Wayne’s central city residents.